Old, but still very beauty and smart. 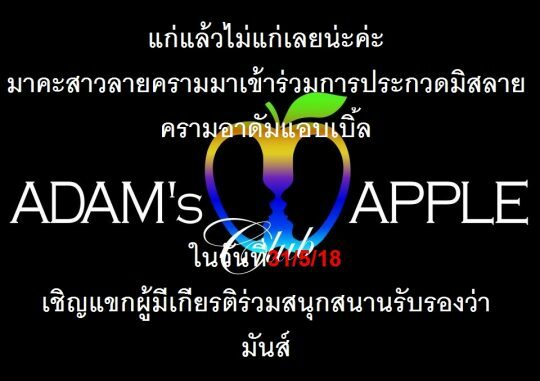 Come to our contest @ Adam’s Apple Club: Miss LieKram. 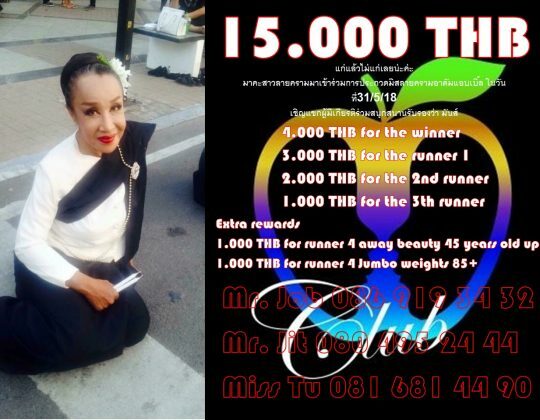 Come to in our Miss LieKram Contest @ Adam’s Apple Club together with Mplus Chiang Mai on 31st May 2018.